Colombia have released another Clip entitled "They Know We Are Here Now" from Battle: Los Angeles. In it some marines including Aaron Eckhart engage the enemy. 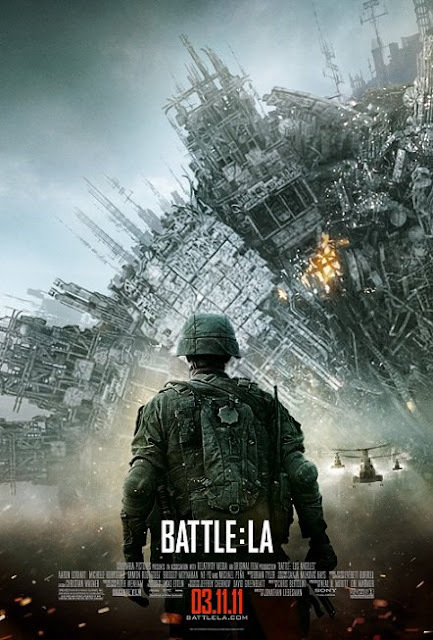 Scheduled for a March 11th 2011 release & directed by Jonathan Liebesman, the Movie depicts L.A. as the last place to hold resistance when Earth is attacked by unknown forces. Eckhart, Michelle Rodriguez, Ramon Rodriguez, Bridget Moynahan, Ne-Yo and Michael Pena star. I'm reading: COLOMBIA RELEASE NEW CLIP "THEY KNOW WE ARE HERE NOW" FROM [BATTLE: LOS ANGELES]Tweet this!